The wait is over! Lady Gaga’s new single “Perfect illusion” is finally arrived! The track, written by Mark Ronson, Tame Impala’s Kevin Parker, producer Blood Pop (Justin Bieber, Grimes, Madonna) & Lady Gaga herself, was recorded at Shangri La Studios, Malibu. “The song is about modern ecstasy. We found our sweet, simple, ragey way of saying it,” Gaga said. While BloodPop added “a big rock song that makes you want to dance”. 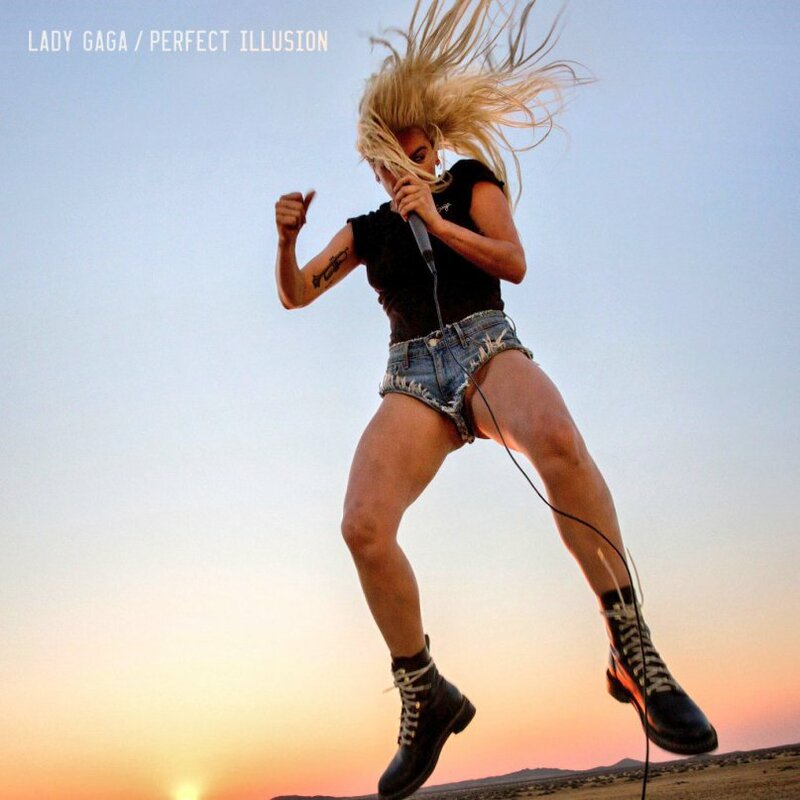 “Perfect illusion” serves as the lead single from Lady Gaga’s upcoming fifth studio album. There’s no release date or title yet for it. We only know it will be “soul-rooted, but pop at heart.” Also Lady Gaga was seen collaborating with longtime producer RedOne, Giorgio Moroder, Fernando Garibay, Dj White Shadow and Nile Rodgers.